Connecticut rang in a new year and Washington swore in a new Congress last week, but even with the changes in personnel, politics seemed the same old drama begun the year before. In Washington, Democrats and President Donald Trump continued their border wall standoff on funding the government while thousands of federal workers here and all over the nation stayed home or worked without a paycheck, (including the U.S. Border Patrol agents protecting the southern border). Members of the U.S. Coast Guard are also part of the currently unfunded Department of Homeland Security, but Connecticut Sen. Richard Blumenthal says he plans to introduce legislation to restore their wages. 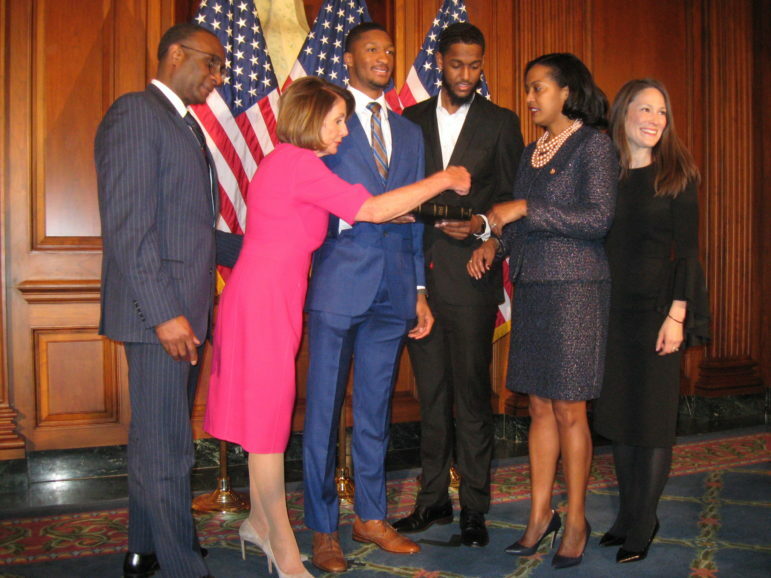 On Thursday, newly minted U.S. Rep. Jahana Hayes, D-5th District, was sworn in and, like the rest of the Connecticut delegation, voted to name Nancy Pelosi as the new Speaker of the House. Hayes will be part of the House Democrats’ move to pass a number of reforms in voting, gun-control, campaign finance and ethics – all bills that, facing likely opposition in a Republican-controlled Senate, may mainly serve as position statements for the 2020 election. In the state Capitol, the governmental transmogrification continued as Gov.-elect Ned Lamont chose State Sen. Beth Bye, D-West Hartford, to be head of the Office of Early Childhood. That move sett off a chain-reaction scramble for her soon-to-be-vacated senate seat. In the state House, where Democrats will have a 92-59 seat advantage, Speaker Joe Aresimowicz and Majority Leader Matt Ritter picked 11 new co-chairs for 27 legislative committees which will deal with a variety of issues such as highway tolls, a higher minimum wage, legalizing recreational marijuana and, most importantly, addressing the enormous state budget deficit projected to hit $1.7 billion in the coming fiscal year. Departing Gov. Dannel Malloy has spent some time during the waning days of his tenure reviewing with the media his accomplishments, which include significant – some would say signature – improvements in Connecticut’s criminal justice system. State Attorney General George Jepsen is also turning over his duties to newly elected William Tong, but before going announced a settlement with the for-profit Career Education Corp. that will provide some financial relief for 1,415 Connecticut residents.